Heavy-duty cleaning chemicals are bad for the environment. Instead, use these home-made solutions to get your investment property ready for tenants. Here’s the scenario – you’ve bought an off-the-plan apartment with the First Home Owner Grant, and after spending the mandatory period as an occupier, you’ve decided to move out so you can rent it as an investment property. In order to make the place ready for renters, it can be tempting to go to the supermarket and stock up on heavy-duty cleaning chemicals. But as we all know, these are bad for the environment. Instead, follow our advice and clean your rental the eco-friendly (and cheaper) way using two simple ingredients — baking soda and vinegar. Forget brands like Easy Off and Mr Muscle, here’s all you need to do to clean your oven without chemicals. 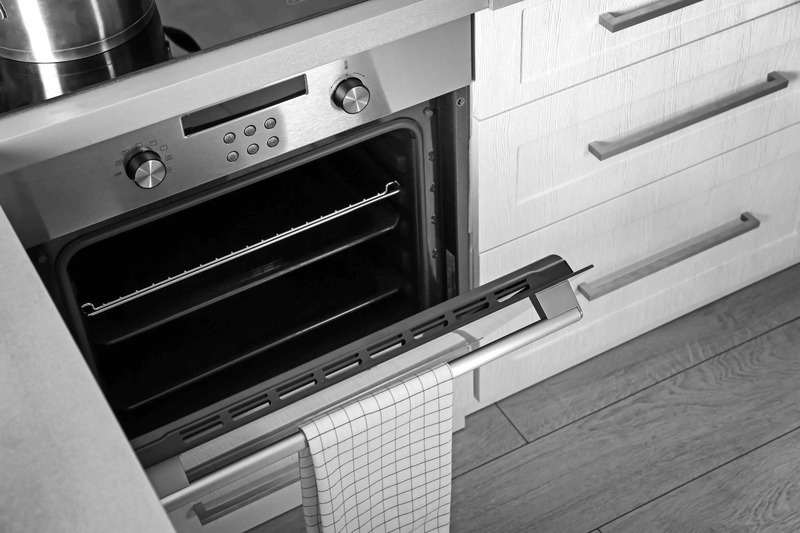 Empty your oven by removing the oven racks and anything else that’s moveable. In a small bowl, mix ½ a cup of baking soda with a few tablespoons of water. Adjust the ratio of both as necessary until you have a spreadable paste. Spread the paste over the interior surfaces of your oven, avoiding the heating elements. Let the mixture rest for a minimum of 12 hours — or overnight. The next day, wet a dishcloth and wipe out as much of the baking soda paste as you can. Use a plastic spatula to help in some of the hard-to-reach spots. Pour a little vinegar into a spray bottle and squirt over all the places where there is baking powder residue. Don’t be surprised if the baking soda begins to foam — this is just the chemical reaction at work. Finally, perform a wipe-down with the cloth and repeat until all the residue is gone. At the end of this process, you’ll have an oven that looks as good as new, and a clean conscience. Stove burners can be one of the most frustrating things to clean, which is why many people rely on chemical-laden products. Fortunately, we found this fail-safe method of cleaning stove burners that’s all natural and easy. Place your stove burners in a sink full of hot water and a few splashes of plain vinegar and let them soak for about 10 minutes. Give them a brisk scrub with a sponge before sprinkling about a teaspoon of baking soda on the inside of each one — it should only be a light coating. Splash a tiny bit (about a quarter of a teaspoon) of vinegar on the baking soda to create a paste. Wrap the corner of a teatowel around your finger and lightly scrub in small circles around the inside of the burner. You should only need to spend about five minutes doing this before your burners look sparkling clean. Have you moved all your furniture only to find a red wine stain (or two) from the first celebration you held in your home? Here’s how to get rid of even the most stubborn of stains using baking powder, vinegar, a dishcloth and a vacuum cleaner. Take a small amount of vinegar (you really don’t need much) and pour it over the affected carpet area. Let this soak for a few seconds before sprinkling baking powder over the area. It’s important that you pour the vinegar first and not the baking soda — if you do it the other way around, the reaction is much less controllable. After the baking soda finishes fizzing, wipe and vacuum the solution from the carpet and voila — the stain is gone! Just remember to empty your vacuum cleaner afterwards. This natural remedy for unclogging drains not only clears the pipes, but it also deodorises at the same time. Empty half a cup of baking soda down the drain you want to tackle and follow it with half a cup of white vinegar. Cover the drain and let the mixture stand for 5 minutes. Next, pour a pot of boiling water down the drain. Afterwards, drizzle the juice of a lemon down the drain. The baking soda and vinegar react to one another and the resulting mixture dissolves fatty acids while the lemon juice will leave your drains smelling citrus-fresh!